Join us in a celebration marking the completion of our neighborhood’s Local Improvement District’s (LID) infrastructure and stormwater facility upgrades. 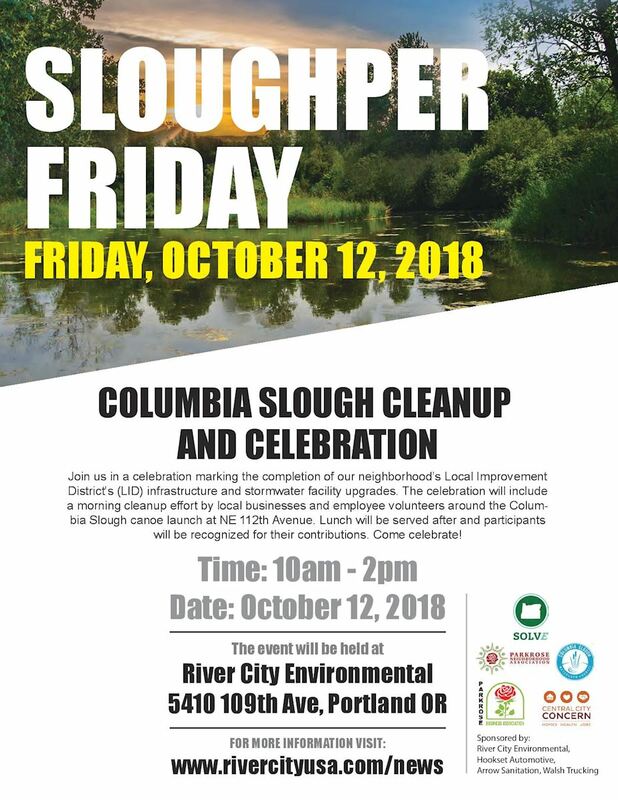 The celebration will include a morning cleanup effort by local businesses and employee volunteers around the Columbia Slough canoe launch at NE 112th Avenue - map. Lunch will be served after and participants will be recognized for their contributions. Come celebrate!